Researchers from the University of York have produced the first clear evidence that textiles made by the indigenous population of the Pacific coast of North America contained dog hair. In recent years, scientists have hotly debated whether textiles such as blankets and robes made by the skilful Coast Salish weavers before contact with Europeans were made of dog hair as oral histories have claimed. Coast Salish oral tradition refers to a special dog which was bred locally until the mid 19th century for its woolly hair or fleece for use in the textile industry. Using highly sensitive equipment at the University’s Centre for Excellence in Mass Spectrometry, York researchers from BioArCh (Departments of Biology, Archaeology and Chemistry) analysed the protein composition of 11 textiles in different locations, representing 25 samples in total. The samples were taken from artefacts in the Smithsonian’s National Museum of Natural History and National Museum of the American Indian collections and included blankets, a sash and a robe of fur. Some of the textiles were collected during the American expeditions to the West Coast, including the Lewis and Clark (1803-1806) and Wilkes (1838-1842) expeditions. The samples dated mainly from early to mid 19th century. Researchers found evidence of dog hair in the robe of fur and six of the woven textiles, primarily in a blend with goat hair. However, the results published in the journal Antiquity, show there is no real proof of a preference for dog hair in high status fabrics and the researchers did not find any textiles made entirely of dog hair. Instead, researchers conclude that dog hair appears to have been used to supplement mountain goat hair, possibly as a bulking material. Surprisingly too, the results also indicate that commercial sheep wool was also incorporated into textiles in the 19th century. Previous investigations had implied that sheep wool was not used in Salish weaving. The research was led by Dr Caroline Solazzo, a Marie Curie Research Fellow from York’s Department of Archaeology, and a former Postdoctoral Fellow at the Museum Conservation Institute at the Smithsonian Institution. Dr Solazzo said: “Dogs have a long history of interaction with humans, from companionship to guarding and hunting; but raising dogs for fibre production was a unique cultural adaptation in the Pacific Northwest. It is perhaps the unusual strategy that has led some to doubt the use of dog wool. Bio-archaeologist Professor Matthew Collins, from York’s Department of Archaeology, said: “Protein mass spectrometry is a useful new tool for the study of textiles, and indeed cultural artefacts composed of proteins, such as silk, wool, ivory, leather, bone and parchment, in which the original source of production is difficult to identify. 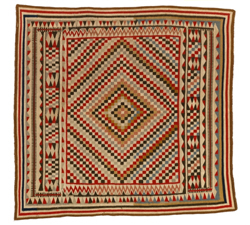 The Coast Salish peoples are indigenous to the Pacific Northwest coastal areas of northern Washington and southern British Columbia, and are particularly notable for their large, finely woven blankets. In pre-contact times, the blankets were important items and their gift and distribution were present in all aspects of social life. As well as having a functional use, they were important in ceremonies such as marriages and funerals. 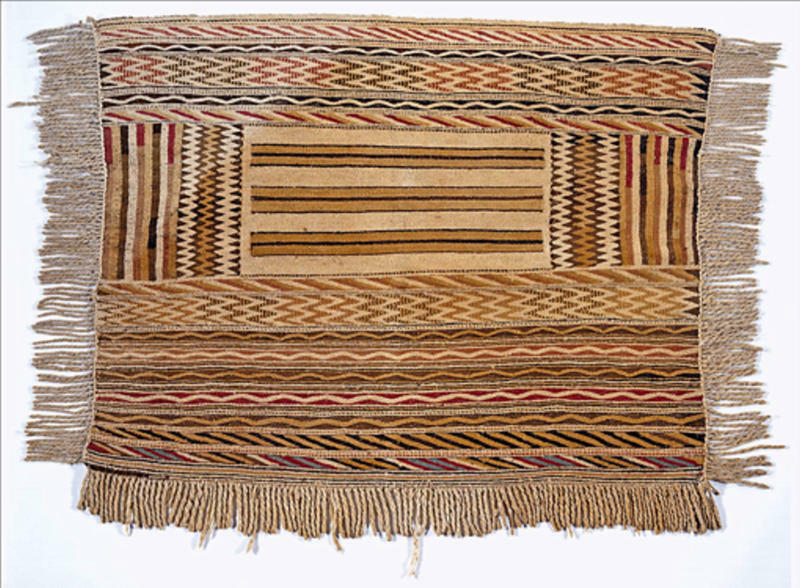 Co-author Susan Heald, Senior Textile Conservator, from the Smithsonian’s National Museum of the American Indian, said: “Salish weaving is undergoing a resurgence. With this revival it is crucial to have the use of dog hair in older blankets confirmed. The existence of a woolly dog is supported by historic accounts of 18th century European explorers. The dogs were reported to be corralled on small islands off the coast to prevent inter-breeding with short-haired village dogs. The dog disappeared less than 100 years after the first contact with Europeans.